Last night Brian and I went to watch our friend defend her title at CLAW, the Charlottesville Lady Arm Wrestlers. We had just enough time after work to run home to feed the dogs, but not ourselves. So, we stopped at our favorite pizza place on the Downtown Mall, Christian's Pizza (no website, sorry!). I wanted to get one of their vegan slices so as to be a bit more healthy by eliminating cheese and adding a whole wheat crust, but they were all out of the pre-made vegan slices. 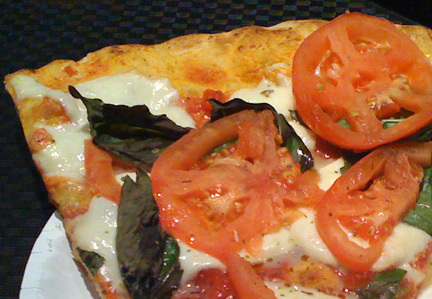 So, I settled for a classic fresh tomato, mozzerella and basil...it was delicious. :) I had one slice, but these are some huge pizza slices so it was perfectly filling. 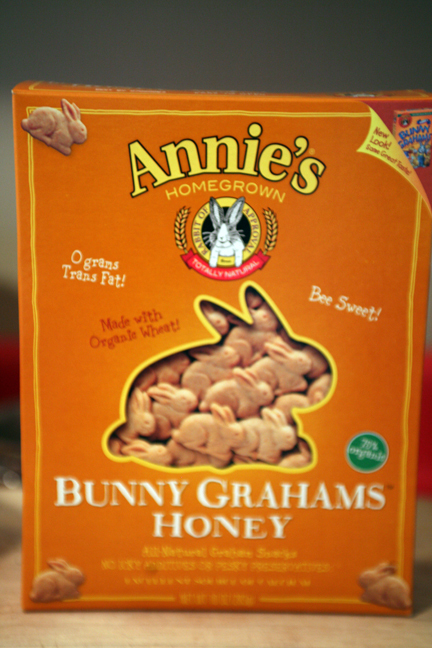 I love these little bunnies!!!!! First off, they are adorable. 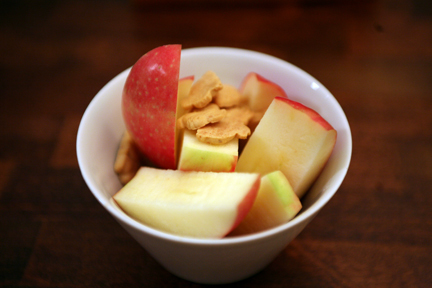 Second, they have amazing flavor and Third, they are perfectly, deliciously crunchy. 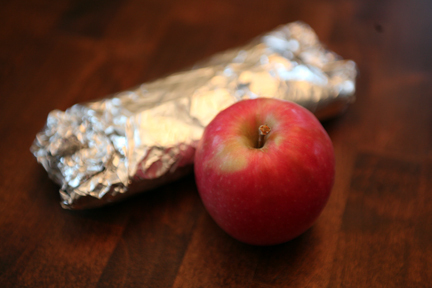 I paired a serving of them with a sliced pink lady apple. A very satisfying sweet/snackie experience. 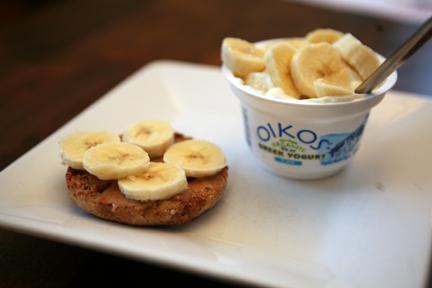 Breakfast: Ezekiel cinnamon raisin muffin (1/2) with almond butter and banana slices on top, paired with a cup of plain Oikos and the rest of the banana slices. 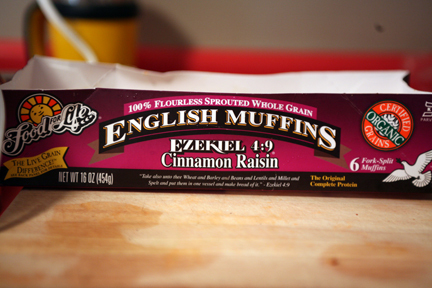 These Ezekiel sprouted wheat muffins are great. I'm still not totally sold on the plain sprouted wheat bread, but the cinn raisin muffins and the onion sesame bagels are really tasty. And I've been using Whole Foods brand almond butter, but I'm not totally sold on it yet. I'm really trying to love almond butter, but this brand isn't doing it for me. 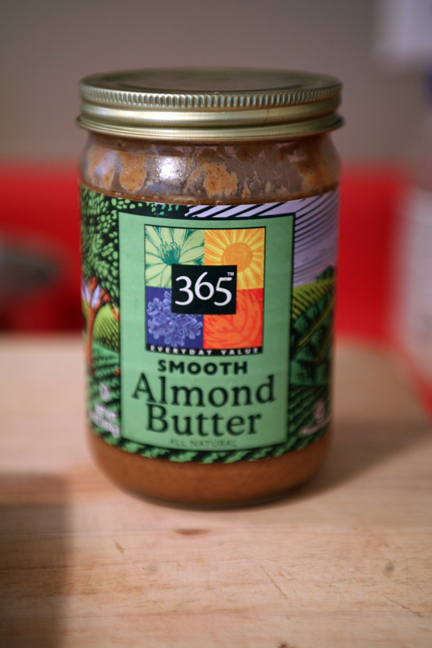 Do any of you have a favorite almond butter brand? 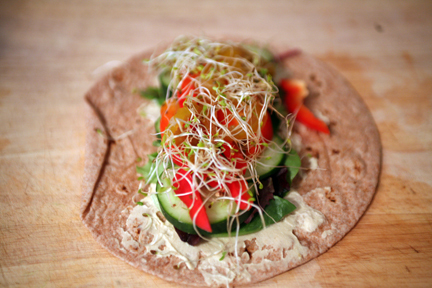 Lunch: What is becoming my "I don't know what to make for lunch" lunch...the veggie wrap. Its just so tasty and it never fails to satisfy me so its a great go-to lunch when I'm not feeling creative in the morning. 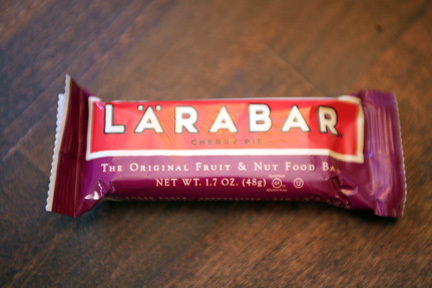 And for a snack I have yesterday's Larabar stashed in a drawer at my office. The salad filled me up so much that I ate just 2/3's for lunch, had my apple and hour or two later, and the rest of my salad a couple of hours after that. And thats my day! Tonight Brian and I are going to a friend's house for the premier of Top Chef!!!!!!!! We have a tradition of cooking with a theme on Top Chef nights, sometimes it is a key ingredient (think BSI contest). I think I may try to come up with a recipe for the BSI contest this week using sweet potato and try it out on everybody... I'll report in later. I was so inspired by Meghann's recipe this week, if you haven't seen it yet you should check it out.